The aluminum wireless charging stand delivers an elegant way to charge your mobile devices, and it supports Qualcomm Quick Charge with your own QC 2.0/3.0 USB adapter. Like the idea? Let’s continue checking. This is a simple yet practical wireless charger that measures 7.6mm thin and weighs 184g. As we can see from the images, the charging stand sports a minimalistic and elegant appearance design, and the aluminum alloy base not only provides a lightweight and stable construction, but also shows off a premium feel. Two optional colors allow it to meet more personal preferences. The aluminum wireless charging stand comes equipped with two internal coils in order to support both portrait and landscape modes. Furthermore, the wireless charging dock features hidden vents to prevent over-heating during charging. Built-in protection features guard your phone from over-voltage, under-voltage, short-circuit and more. The wireless charger is compatible either all Qi-enabled smartphones with 5V output, and its fast charge mode features 9V output, but you need an extra QC 3.0/2.0 adapter. 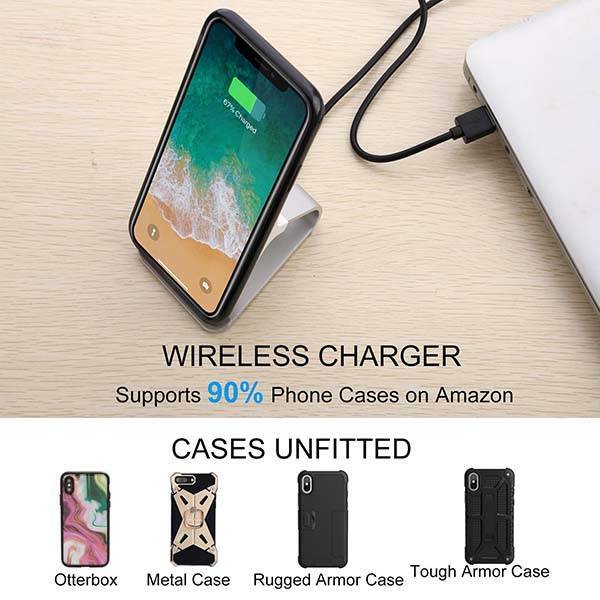 Moreover, using anti-slip silicone feet ensures it stably stands on your desk or nightstand, and integrated pad securely keeps your phone in place during charging. 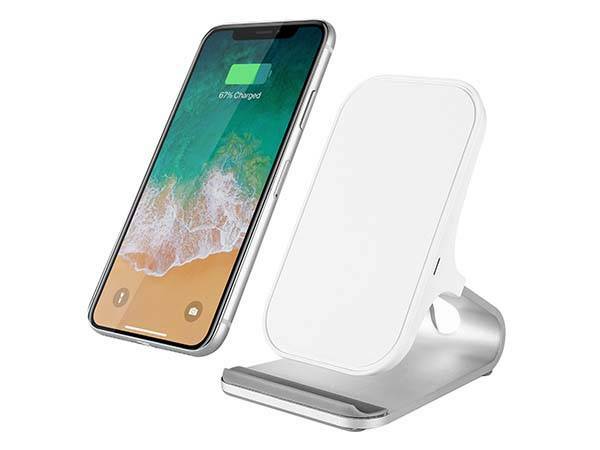 The aluminum wireless charging stand is priced at $32.99 USD. If you’re interested, jump to here for its more details.